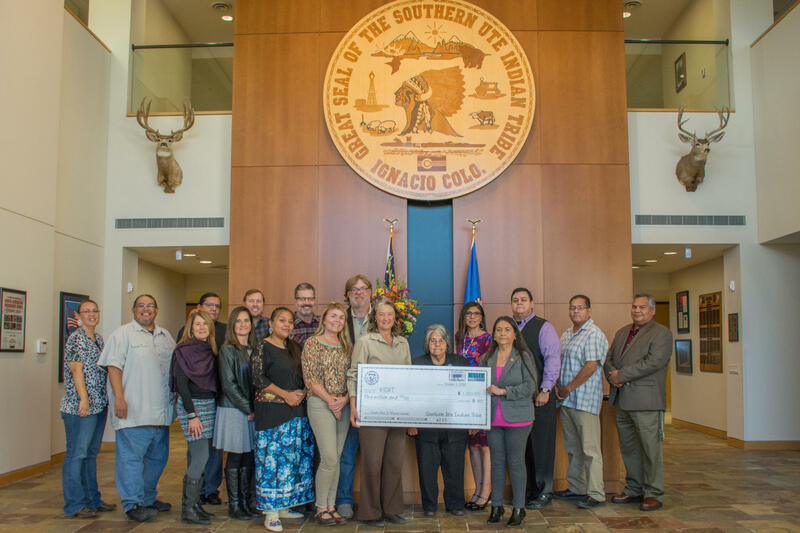 Tribal Council members present KSUT with a campaign gift from the Southern Ute Indian Tribe following completion of the $1 million community match. When I joined the leadership team of KSUT two-and-a-half years ago, my primary focus was to secure a new home for the station. With your help, that goal is within reach! Nearly 750 donors have made a special gift to KSUT as part of our capital campaign, including generous support over the past year to meet the $1 million match from the Southern Ute Indian Tribe. We are now 85% toward our $5.5 million campaign goal and ready to undertake construction. On behalf of our board, staff and family of listeners, I want to express my gratitude to each and every donor that helped us reach this important milestone. Gifts ranged from $10 to $250,000, a reflection of the broad community of support that sustains KSUT each year and that will ensure access to high-quality public media across the Four Corners region for generations to come. We are in the final stages of preparing construction-ready documents and will go out to bid in December for the renovation of an existing 5,000 square foot building in Ignacio, which will serve as KSUT’s new home – the Eddie Box Jr. Media Center. Work is expected to commence this winter with a targeted move-in date of early 2020. While we are eagerly planning for these exciting next steps, we also have remaining needs for both our capital campaign and our general operating fund. There has never been a more important time to show your support for KSUT. I hope that you will consider a year-end gift in 2018, as we work to maintain and build on the quality programming that you have come to expect over the past 40+ years.